A whale shark was spotted on October 30th in waters off Molokini, which is a crescent-shaped crater near Maui. Ryan Wickersheim is a staff photographer usually taking pictures of guests on board the Pride of Hawaii cruise ship. 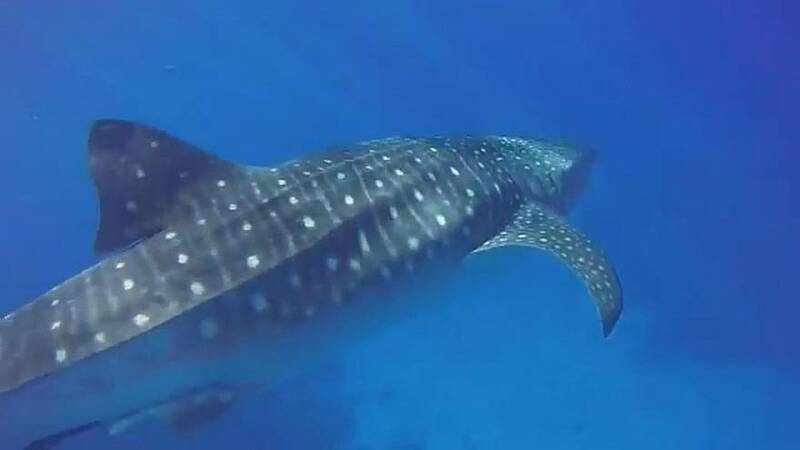 On Monday, while diving, he was treated to the rare sight of a whale shark, local news outlet KHON2 reported. “I look off into the distance and it looked like a school of fish. I was like, that is something strange, and I got a little bit closer and it was the white dots on the whale shark,” Wickersheim said; he believed the whale shark was about 30 feet long. He added that this was his fourth time seeing one, but that it was a memorable experience every time.